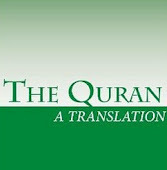 YUSUFALI: The revelation of the Book is from Allah the Exalted in Power, Full of Wisdom. PICKTHAL: The revelation of the Scripture is from Allah, the Mighty, the Wise. SHAKIR: The revelation of the Book is from Allah, the Mighty, the Wise. YUSUFALI: Verily in the heavens and the earth, are Signs for those who believe. PICKTHAL: Lo! in the heavens and the earth are portents for believers. SHAKIR: Most surely in the heavens and the earth there are signs for the believers. YUSUFALI: And in the creation of yourselves and the fact that animals are scattered (through the earth), are Signs for those of assured Faith. PICKTHAL: And in your creation, and all the beasts that He scattereth in the earth, are portents for a folk whose faith is sure. YUSUFALI: And in the alternation of Night and Day, and the fact that Allah sends down Sustenance from the sky, and revives therewith the earth after its death, and in the change of the winds,- are Signs for those that are wise. PICKTHAL: And the difference of night and day and the provision that Allah sendeth down from the sky and thereby quickeneth the earth after her death, and the ordering of the winds, are portents for a people who have sense. SHAKIR: And (in) the variation of the night and the day, and (in) what Allah sends down of sustenance from the cloud, then gives life thereby to the earth after its death, and (in) the changing of the winds, there are signs for a people who understand. YUSUFALI: Such are the Signs of Allah, which We rehearse to thee in Truth; then in what exposition will they believe after (rejecting) Allah and His Signs? PICKTHAL: These are the portents of Allah which We recite unto thee (Muhammad) with truth. Then in what fact, after Allah and His portents, will they believe? SHAKIR: These are the communications of Allah which We recite to you with truth; then in what announcement would they believe after Allah and His communications? YUSUFALI: He hears the Signs of Allah rehearsed to him, yet is obstinate and lofty, as if he had not heard them: then announce to him a Penalty Grievous! PICKTHAL: Who heareth the revelations of Allah recited unto him, and then continueth in pride as though he heard them not. Give him tidings of a painful doom. SHAKIR: Who hears the communications of Allah recited to him, then persists proudly as though he had not heard them; so announce to him a painful punishment. YUSUFALI: And when he learns something of Our Signs, he takes them in jest: for such there will be a humiliating Penalty. PICKTHAL: And when he knoweth aught of Our revelations he maketh it a jest. For such there is a shameful doom. SHAKIR: And when he comes to know of any of Our communications, he takes it for a jest; these it is that shall have abasing chastisement. YUSUFALI: In front of them is Hell: and of no profit to them is anything they may have earned, nor any protectors they may have taken to themselves besides Allah: for them is a tremendous Penalty. PICKTHAL: Beyond them there is hell, and that which they have earned will naught avail them, nor those whom they have chosen for protecting friends beside Allah. Theirs will be an awful doom. SHAKIR: Before them is hell, and there shall not avail them aught of what they earned, nor those whom they took for guardians besides Allah, and they shall have a grievous punishment. YUSUFALI: This is (true) Guidance and for those who reject the Signs of their Lord, is a grievous Penalty of abomination. PICKTHAL: This is guidance. And those who disbelieve the revelations of their Lord, for them there is a painful doom of wrath. SHAKIR: This is guidance; and (as for) those who disbelieve in the communications of their Lord, they shall have a painful punishment on account of uncleanness. YUSUFALI: It is Allah Who has subjected the sea to you, that ships may sail through it by His command, that ye may seek of his Bounty, and that ye may be grateful. SHAKIR: Allah is He Who made subservient to you the sea that the ships may run therein by His command, and that you may seek of His grace, and that you may give thanks. YUSUFALI: And He has subjected to you, as from Him, all that is in the heavens and on earth: Behold, in that are Signs indeed for those who reflect. PICKTHAL: And hath made of service unto you whatsoever is in the heavens and whatsoever is in the earth; it is all from Him. Lo! herein verily are portents for a people who reflect. SHAKIR: And He has made subservient to you whatsoever is in the heavens and whatsoever is in the earth, all, from Himself; most surely there are signs in this for a people who reflect. YUSUFALI: Tell those who believe, to forgive those who do not look forward to the Days of Allah: It is for Him to recompense (for good or ill) each People according to what they have earned. PICKTHAL: Tell those who believe to forgive those who hope not for the days of Allah; in order that He may requite folk what they used to earn. SHAKIR: Say to those who believe (that) they forgive those who do not fear the days of Allah that He may reward a people for what they earn. YUSUFALI: If any one does a righteous deed, it ensures to the benefit of his own soul; if he does evil, it works against (his own soul). In the end will ye (all) be brought back to your Lord. PICKTHAL: Whoso doeth right, it is for his soul, and whoso doeth wrong, it is against it. And afterward unto your Lord ye will be brought back. SHAKIR: Whoever does good, it is for his own soul, and whoever does evil, it is against himself; then you shall be brought back to your-- Lord. YUSUFALI: We did aforetime grant to the Children of Israel the Book the Power of Command, and Prophethood; We gave them, for Sustenance, things good and pure; and We favoured them above the nations. SHAKIR: And certainly We gave the Book and the wisdom and the prophecy to the children of Israel, and We gave them of the goodly things, and We made them excel the nations. YUSUFALI: And We granted them Clear Signs in affairs (of Religion): it was only after knowledge had been granted to them that they fell into schisms, through insolent envy among themselves. Verily thy Lord will judge between them on the Day of Judgment as to those matters in which they set up differences. PICKTHAL: And gave them plain commandments. And they differed not until after the knowledge came unto them, through rivalry among themselves. Lo! thy Lord will judge between them on the Day of Resurrection concerning that wherein they used to differ. SHAKIR: And We gave them clear arguments in the affair, but they did not differ until after knowledge had come to them out of envy among themselves; surely your -Lord will judge between them on the day of resurrection concerning that wherein they differed. YUSUFALI: Then We put thee on the (right) Way of Religion: so follow thou that (Way), and follow not the desires of those who know not. PICKTHAL: And now have We set thee (O Muhammad) on a clear road of (Our) commandment; so follow it, and follow not the whims of those who know not. SHAKIR: Then We have made you follow a course in the affair, therefore follow it, and do not follow the low desires of those who do not know. YUSUFALI: They will be of no use to thee in the sight of Allah: it is only Wrong-doers (that stand as) protectors, one to another: but Allah is the Protector of the Righteous. PICKTHAL: Lo! they can avail thee naught against Allah. And lo! as for the wrong-doers, some of them are friends of others; and Allah is the Friend of those who ward off (evil). SHAKIR: Surely they shall not avail you in the least against Allah; and surely the unjust are friends of each other, and Allah is the guardian of those who guard (against evil). YUSUFALI: These are clear evidences to men and a Guidance and Mercy to those of assured Faith. PICKTHAL: This is clear indication for mankind, and a guidance and a mercy for a folk whose faith is sure. SHAKIR: These are clear proofs for men, and a guidance and a mercy for a people who are sure. YUSUFALI: What! Do those who seek after evil ways think that We shall hold them equal with those who believe and do righteous deeds,- that equal will be their life and their death? Ill is the judgment that they make. PICKTHAL: Or do those who commit ill-deeds suppose that We shall make them as those who believe and do good works, the same in life and death? Bad is their judgment! SHAKIR: Nay! do those who have wrought evil deeds think that We will make them like those who believe and do good-- that their life and their death shall be equal? Evil it is that they judge. YUSUFALI: Allah created the heavens and the earth for just ends, and in order that each soul may find the recompense of what it has earned, and none of them be wronged. PICKTHAL: And Allah hath created the heavens and the earth with truth, and that every soul may be repaid what it hath earned. And they will not be wronged. SHAKIR: And Allah created the heavens and the earth with truth and that every soul may be rewarded for what it has earned and they shall not be wronged. YUSUFALI: Then seest thou such a one as takes as his god his own vain desire? Allah has, knowing (him as such), left him astray, and sealed his hearing and his heart (and understanding), and put a cover on his sight. Who, then, will guide him after Allah (has withdrawn Guidance)? Will ye not then receive admonition? PICKTHAL: Hast thou seen him who maketh his desire his god, and Allah sendeth him astray purposely, and sealeth up his hearing and his heart, and setteth on his sight a covering? Then who will lead him after Allah (hath condemned him)? Will ye not then heed? SHAKIR: Have you then considered him who takes his low desire for his god, and Allah has made him err having knowledge and has set a seal upon his ear and his heart and put a covering upon his eye. Who can then guide him after Allah? Will you not then be mindful? PICKTHAL: And they say: There is naught but our life of the world; we die and we live, and naught destroyeth us save time; when they have no knowledge whatsoever of (all) that; they do but guess. SHAKIR: And they say: There is nothing but our life in this world; we live and die and nothing destroys us but time, and they have no knowledge of that; they only conjecture. YUSUFALI: And when Our Clear Signs are rehearsed to them their argument is nothing but this: They say, "Bring (back) our forefathers, if what ye say is true!" PICKTHAL: And when Our clear revelations are recited unto them their only argument is that they say: Bring (back) our fathers. then, if ye are truthful. SHAKIR: And when Our clear communications are recited to them, their argument is no other than that they say: Bring our fathers (back) if you are truthful. YUSUFALI: Say: "It is Allah Who gives you life, then gives you death; then He will gather you together for the Day of Judgment about which there is no doubt": But most men do not understand. PICKTHAL: Say (unto them, O Muhammad): Allah giveth life to you, then causeth you to die, then gathereth you unto the Day of Resurrection whereof there is no doubt. But most of mankind know not. SHAKIR: Say: Allah gives you life, then He makes you die, then will He gather you to the day of resurrection wherein is no doubt, but most people do not know. YUSUFALI: To Allah belongs the dominion of the heavens and the earth, and the Day that the Hour of Judgment is established,- that Day will the dealers in Falsehood perish! PICKTHAL: And unto Allah belongeth the Sovereignty of the heavens and the earth; and on the day when the Hour riseth, on that day those who follow falsehood will be lost. SHAKIR: And Allah's is the kingdom of the heavens and the earth; and on the day when the hour shall come to pass, on that day shall they perish who say false things. YUSUFALI: And thou wilt see every sect bowing the knee: Every sect will be called to its Record: "This Day shall ye be recompensed for all that ye did! PICKTHAL: And thou wilt see each nation crouching, each nation summoned to its record. (And it will be said unto them): This day ye are requited what ye used to do. SHAKIR: And you shall see every nation kneeling down; every nation shall be called to its book: today you shall be rewarded for what you did. YUSUFALI: "This Our Record speaks about you with truth: For We were wont to put on Record all that ye did." PICKTHAL: This Our Book pronounceth against you with truth. Lo! We have caused (all) that ye did to be recorded. YUSUFALI: Then, as to those who believed and did righteous deeds, their Lord will admit them to His Mercy that will be the achievement for all to see. PICKTHAL: Then, as for those who believed and did good works, their Lord will bring them in unto His mercy. That is the evident triumph. SHAKIR: Then as to those who believed and did good, their Lord will make them enter into His mercy; that is the manifest achievement. YUSUFALI: But as to those who rejected Allah, (to them will be said): "Were not Our Signs rehearsed to you? But ye were arrogant, and were a people given to sin! PICKTHAL: And as for those who disbelieved (it will be said unto them): Were not Our revelations recited unto you? But ye were scornful and became a guilty folk. SHAKIR: As to those who disbelieved: What! were not My communications recited to you? But you were proud and you were a guilty people. YUSUFALI: "And when it was said that the promise of Allah was true, and that the Hour- there was no doubt about its (coming), ye used to say, 'We know not what is the hour: we only think it is an idea, and we have no firm assurance.'" PICKTHAL: And when it was said: Lo! Allah's promise is the truth, and there is no doubt of the Hour's coming, ye said: We know not what the Hour is. We deem it naught but a conjecture, and we are by no means convinced. SHAKIR: And when it was said, Surely the promise of Allah is true and as for the hour, there is no doubt about it, you said: We do not know what the hour is; we do not think (that it will come to pass) save a passing thought, and we are not at all sure. YUSUFALI: Then will appear to them the evil (fruits) of what they did, and they will be completely encircled by that which they used to mock at! PICKTHAL: And the evils of what they did will appear unto them, and that which they used to deride will befall them. SHAKIR: And the evil (consequences) of what they did shall become manifest to them and that which they mocked shall encompass them. YUSUFALI: It will also be said: "This Day We will forget you as ye forgot the meeting of this Day of yours! and your abode is the Fire, and no helpers have ye! PICKTHAL: And it will be said: This day We forget you, even as ye forgot the meeting of this your day; and your habitation is the Fire, and there is none to help you. YUSUFALI: "This, because ye used to take the Signs of Allah in jest, and the life of the world deceived you:" (From) that Day, therefore, they shall not be taken out thence, nor shall they be received into Grace. PICKTHAL: This, forasmuch as ye made the revelations of Allah a jest, and the life of the world beguiled you. Therefor this day they come not forth from thence, nor can they make amends. SHAKIR: That is because you took the communications of Allah for a jest and the life of this world deceived you. So on that day they shall not be brought forth from it, nor shall they be granted goodwill. YUSUFALI: Then Praise be to Allah, Lord of the heavens and Lord of the earth,- Lord and Cherisher of all the Worlds! PICKTHAL: Then praise be to Allah, Lord of the heavens and Lord of the earth, the Lord of the Worlds. SHAKIR: Therefore to Allah is due (all) praise, the Lord of the heavens and the Lord of the earth, the Lord of the worlds. YUSUFALI: To Him be glory throughout the heavens and the earth: and He is Exalted in Power, Full of Wisdom! PICKTHAL: And unto Him (alone) belongeth Majesty in the heavens and the earth, and He is the Mighty, the Wise. SHAKIR: And to Him belongs greatness in the heavens and the earth, and He is the Mighty, the Wise.